Thanks Anyway - I'm hoping someone who happens accross this may know for sure. Sorry, I haven't got a clue as to where the JJ Newberry store in the photo was located. 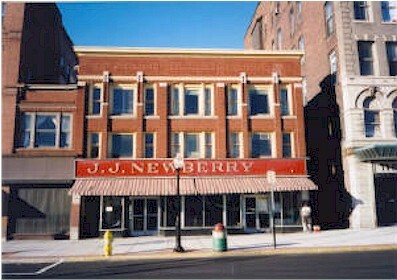 Is this the JJ Newberry's that was on Broadway in Saratoga Springs, NY. I lived near Saratoga Springs from 1962-1969 (and Saratoga Lake until 1972). This looks exactly like I remember. Not sure if I have all the spelling right, but I hope this may trigger a few Saratoga Baby-boomer memories.